Dr. Huang, Ph.D. Reg. Dr. TCM, R.Ac. Dr. Juan Huang, Ph.D. Reg. Dr. TCM, R.Ac. Acute and chronic Bronchitis, Asthma, Emphysema, Pulmonary Heart disease, arrhythmia , coronary heart disease, Insomnia, Irritable Bowel Syndrome, Digestive ulcer, Colitis, Depression, Stroke, ADD, Fatigue, Pain management, Traumatic injury, Restless legs, Cancer, abdominal bloating, Rheumatoid Arthritis, Osteoporosis, Dupreten’s Contracture(tendon’s contraction), Biliary Cirrhosis, anemia, Hypothyroidism, Menstrual disorders, PMS, Menopausal syndrome, and male sterility etc. with acupuncture and herbal medicine. 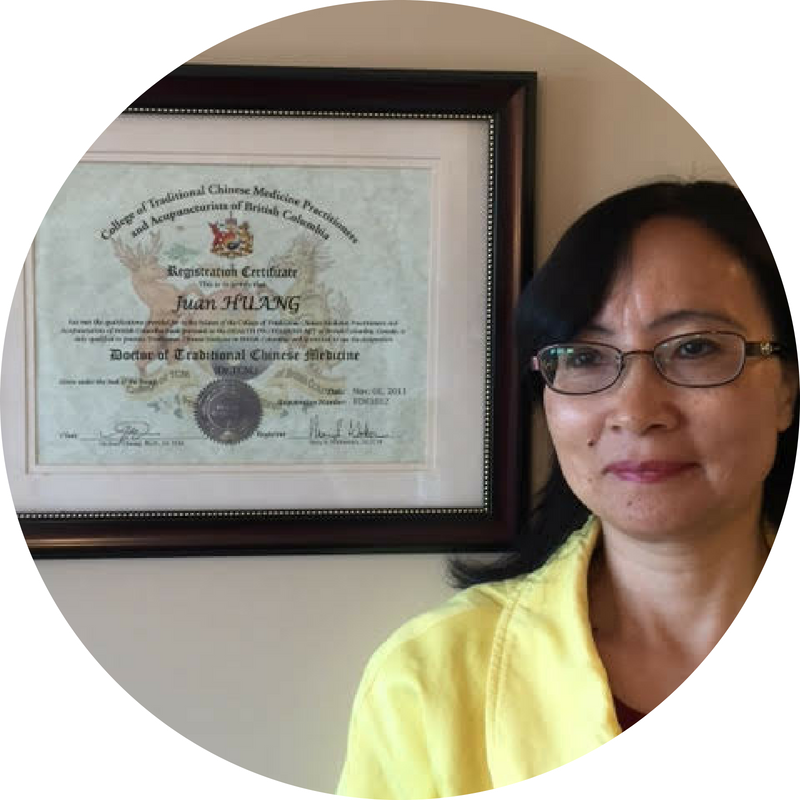 Dr. Huang has 20 years of teaching experience internationally in China and Canada. She has been principle instructor at Academy of Classical Oriental Science in Nelson B.C. for 13 years, and at Calgary college of Acupuncture and TCM for 3 years. She has taught a broad range of courses from Diagnosis, Acupuncture therapeutics, Herbology, Formula, internal medicine, external medicine, gynecology, Pediatric and classic courses etc. She also has teaching experience at TCM College in Vancouver. 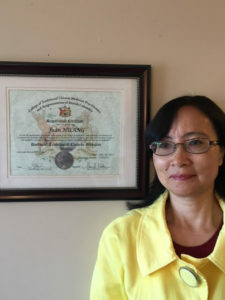 Dr. Huang was a highly esteemed lecture at the Capital Medical University (Beijing), and Qualified instructor that private Career Training Institutions Agency (PCTIA ) in B.C. has issued. She has numerous articles published in academic Chinese medicine journals. Now Dr. Huang is seeing patients at Metro integrated health Clinic. She is also teaching and supervising in the student’s clinic at Pacific Rim College. Dr. Huang, PhD. Reg. Dr. TCM, R.Ac. Dr. Huang incorporates acupuncture, internal medicine, and herbology, together to create powerful solutions in client care.